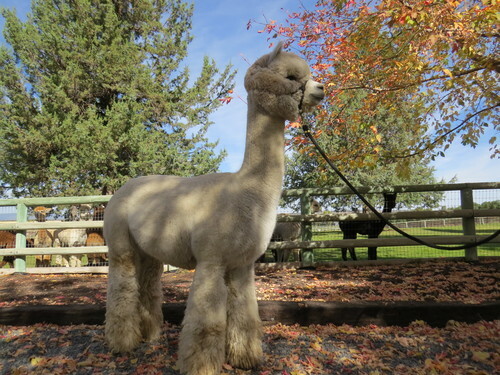 4x Champ, 4x Color/Reserve Champion Winner! 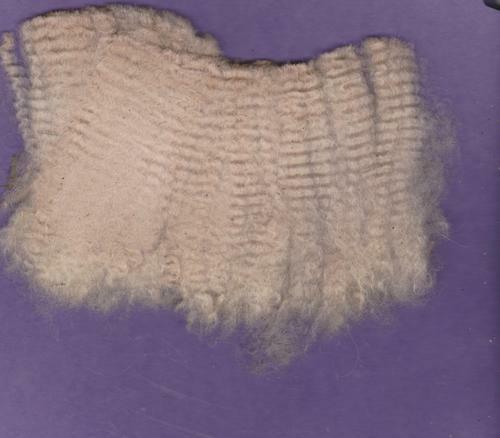 Ingenue's sire, R&RR Oliver Twist has consistently produced outstanding offspring in Canada and the United States, that exhibit fine, uniform micron in their fleeces, along with crimp and correct, solid conformation. 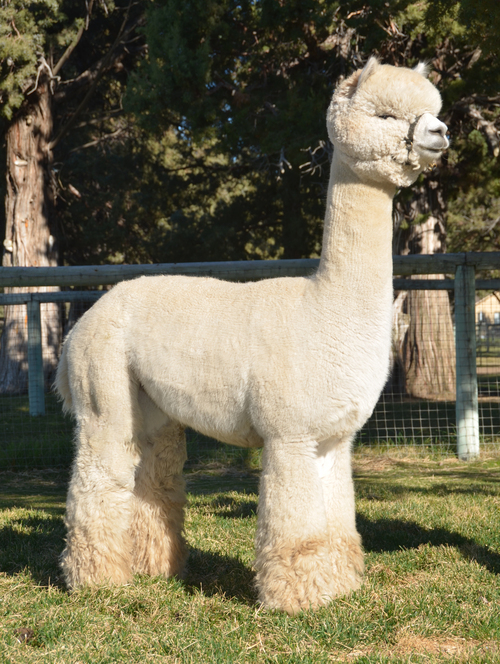 Her paternal grandsire is CR&R HILACA TOPGUN 054K. 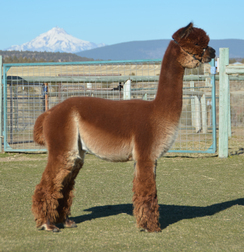 El Canto’s grandsire is Patagonia’s Lennox, the best known Patagonia herdsire with nearly 300 cria on the ground, and having the most Color Champion offspring of any Patagonia sires. 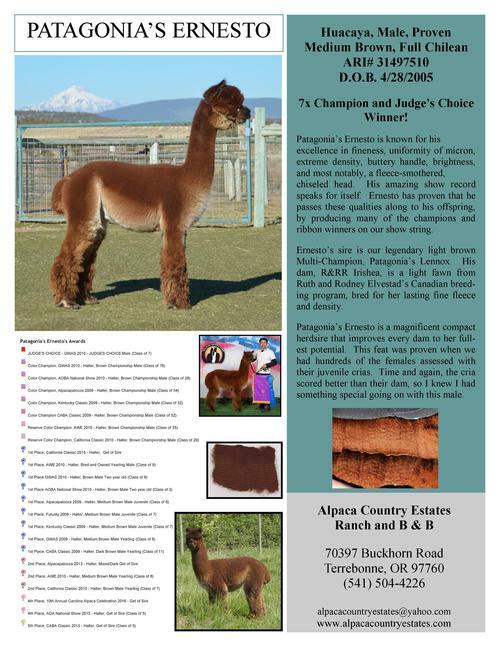 His sire is Judge's Choice and 7-time Color Champion/Reseserve Champion, Patagonio's Ernesto. No wonder this son is as outstanding as he is. 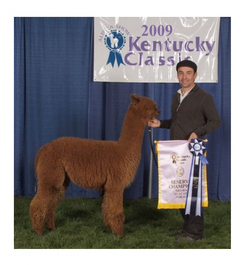 El Canto’s dam is the 4x Champion and 17 ribbon winner (including 7x Produce of Dam), Patagonia’s Ingenue, who is our Patagonia matriarch. 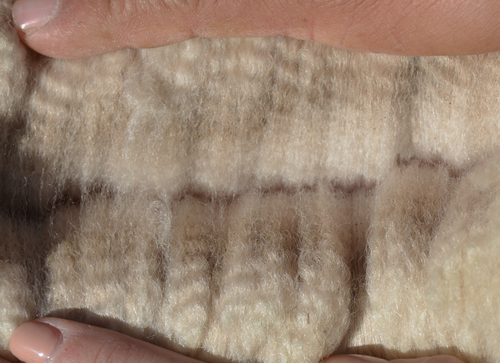 El Canto de Chile has exceptional progeny on the ground stamping out an amazing head, fine fleece, density, long staple length, consistency of micron, and more. 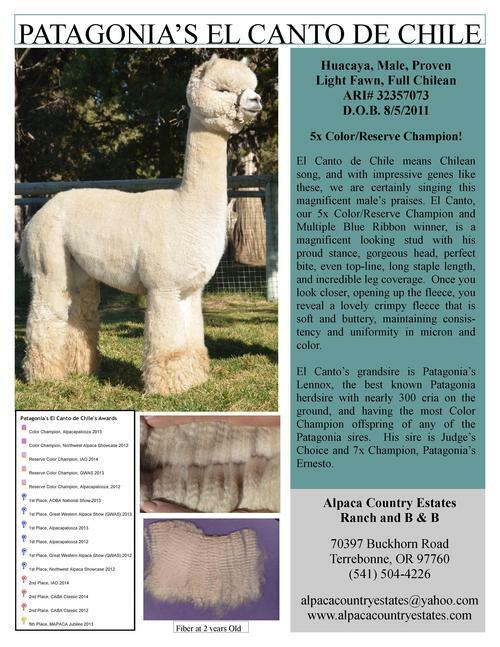 You name it, his crias have it! Check Out A Few of El Canto's Award Winning Progeny!